The Phantom 4 Pro intelligent flight modes make flying and producing meaningful aerial imagery so much easier. The many Phantom 4 Pro autonomous flight modes along with new stabilization system and professional 4k camera make this drone an exceptional investment. For aerial cinematography, the Phantom 4 flight modes allow you the capture film from many different flying angles. The Phantom 4 Pro is an excellent quadcopter for professional site surveying, 3D imaging of terrain and photogrammetry of structures. You can read further on these uses in this the article “Introduction To UAV Photogrammetry and Lidar Mapping“. The Phantom 4 Pro also has many autonomous safety systems such as obstacle detection and smart return to home technology. In this article, we take a quick review of the Phantom 4 drone. Then we look further into the 3 main flight modes (Position, Sport and Attitude) and all the intelligent flight modes listed above. There is also some terrific Phantom 4 flight mode videos throughout. For many professional uses of drones, waypoint navigation is essential. We cover this area below including some terrific 3rd party applications with excellent waypoint navigation for creating 3D images. The Phantom 4 Pro has a titanium and magnesium alloy construction increasing the strength of its frame and reducing it’s weight. This gives the Phantom 4 Pro a longer flight time of up to approximately 30 minutes. The Phantom 4 Pro also has a terrific camera with a 1 inch 20 megapixel CMOS sensor which is capable of shooting 4k at 60 frames per second video and Burst Mode stills at 14 frames per second. A custom engineered lens made up of eight elements is arranged in seven groups and it is the first DJI camera to use a mechanical shutter, eliminating rolling shutter distortion which can occur when taking images of fast moving subjects or when flying at high speed. In effect, the Phantom 4 Pro camera is as powerful as many traditional ground cameras. More powerful video processing supports H.264 4K videos at 60 fps or H.265 4K at 30 fps, both with a 100 Mbps bitrate. Advanced sensors and processors ensure everything is captured with more image detail and the image data needed for advanced post-production. When you look at all the innovative technology built into the Phantom 4 Pro, it is well ahead of the competition including the very latest of drones to be released. The Phantom 4 Pro has perfect body design, super smooth flying and a top of the range camera stability. DJI have been a top manufacturer of gimbals for years. Their camera technology is also exceptional. In 2016, DJI bought a majority stake in Swedish camera maker Hasselblad and the quality of DJI lens is now exceptional. The Phantom 4 Pro features 5 directions of obstacle avoidance along with all the intelligent autonomous flight modes below. DJI have sales on throughout the year and you can view the latest price and Phantom 4 Pro bundles here. With all the automatic flight modes, together with super stable flight system and a quality 4k camera, the Phantom 4 Pro is the best value drone on the market. NOTE: When it comes to flying your Phantom 4 Pro and especially in the intelligent flight modes which allow for obstacle sensing and avoidance, please read the Phantom 4 user manual as it gives some specific notes on where to fly and also what conditions not to fly in. This is your regular flight mode. P-Mode is also the default mode of your Phantom 4. This means it is already in P-Mode straight out of the box. It includes GPS and GLONASS satellite positioning. It is on your remote controller in the P-mode position. P-Mode allows your quadcopter to use visual positioning and obstacle sensing. It is also the position you need to be in to use all the intelligent flight modes such as Waypoints, ActiveTrack, TapFly and beginner mode etc. S-Mode is Sport Mode and allows your Phantom 4 to fly at speeds up to 45 miles per hour. On the remote controller you need to switch to S-Mode. You also need to enable “Multiple Flight Mode” in the DJI Go app. While flying in sports mode you have full satellite and vision positioning support. NOTE: In sports mode, obstacle sensors are turned off so you need to be fully aware of where you are flying. This switches off your GPS but keeps altitude control. This mode is for experienced pilots allowing you to fly real steady and smooth which can be great for filming. NOTE: In Attitude Mode, you don’t have the “Return To Home” feature. Here’s a nice easy introduction to the Position, Sport and Attitude modes on the DJI Phantom 4. These modes are the same for the Phantom 4 Pro. Draw is a brand new technology for waypoint control. Simply draw a route on screen and the Phantom 4 Pro will move in the direction while keeping its altitude locked. This lets the pilot focus on camera control and enables more complex shots. There are two Draw modes that can be used in different scenarios. Forward – The aircraft follows the route at a constant speed with the camera facing in the direction of flight. Free – The aircraft only moves along the route when instructed. In this mode, the camera can face in any direction during a flight. Using Draw, the aircraft will fly along the flight path drawn on screen. As it flies, it will automatically brake and hover when it sees obstacles provided that the lighting is appropriate – no darker than 300 lux or brighter than 10,000 lux. Waypoint navigation gives the Phantom 4 Pro many more uses outside of aerial filming. The Phantom 4 Pro can be mounted with multispectral camera sensors, which have many uses including precision agriculture and golf course maintenance. If you are using the Phantom 4 Pro for 3D mapping of terrain or site surveying various projects, then more than likely you would use a 3rd party application which would include waypoint mapping to identify the area and flight path for the drone to fly. Here is a short list of some of the best 3D mapping software packages for drones. These are installed on the Smartphone or Tablet device and can create 3D images very quickly. The following software are excellent for creating 3D images and all have waypoint navigation. The best 3D mapping software for drones are reviewed in our article on best photogrammetry software. This included reviews with videos of the leading photogrammetry companies for building 3D maps of land mass and structures. This next video gives you a terrific introduction to the Phantom 4 Pro. With the TapFly feature, users can now tap on the mobile device screen to fly in the designated direction without using the remote controller. The aircraft will automatically avoid obstacles it sees or will brake and hover provided that the lighting is appropriate (< 300 lux) or too bright (< 10,000 lux). You can also fly in any direction which is visible on your screen with a simple tap. Then you can tap anywhere on the screen to smoothly adjust the direction of flight while automatically avoiding obstacles and tap the screen again or use control sticks to change direction. A new AR route function shows the quadcopters real-time flight direction for reference as its route is adjusted. As it can be difficult to control altitude, course, speed and camera pitch simultaneously using joysticks, TapFly Free allows you to set the direction of flight, to turn the Phantom 4 Pro or tilt the gimbal as required without changing the direction of flight. Here is a terrific explanation and tutorial about TapFly on the Phantom 4. Using Gesture Mode, selfies can be captured easily using a few gestures without the remote controller. Advanced computer vision technology allows the Phantom 4 Pro to take instructions through gestures. The subject simply lifts their arms when facing the camera and the aircraft will recognize this movement by locking on and placing the subject in the center of the frame. When ready for a photo, the subject holds their arms out to signal the aircraft. A three second countdown will begin, making time to strike a pose, allowing moments to be captured without the remote control. The Downward Vision System is utilized in Terrain Follow Mode to maintain a height above ground between 1 and 10 meters. This mode is designed for use on grassland sloped at no more than 20 degrees. When this mode is enabled, the Phantom 4 Pro’s current height will be recorded. The drone will maintain the recorded height during flight and ascend when the slope rises. However, the Phantom 4 Pro will not descend in downward slopes. In Tripod Mode, the maximum flight speed is limited to 5.6 miles per hour and the braking distance is reduced to 6.6 feet. Responsiveness to stick movements is also reduced for smoother more controlled movements. Read the manual and use Tripod Mode carefully. This Phantom 4 Pro ActiveTrack intelligent mode allows you to mark and track a moving object on your mobile device screen. It’s the new Follow Me technology. The Phantom 4 will automatically avoid obstacles in its flight path. The Phantom 4 Pro automatically recognizes subjects, follows and captures them as they move, making it easier to get complex shots. The Phantom 4 Pro can automatically identify and trace bikes, vehicles, people and animals and uses many different tracking system for each. Following fast-moving objects can be very challenging. The advanced image recognition algorithms used by the Phantom 4 Pro will allow it to recognize and track the object while keeping it in frame. This new algorithm also recognizes more subjects, from people to vehicles to animals, and will adjust its flight dynamics to match, ensuring smoother shots. This ActiveTrack makes aerial filming so much easier. Tracking a moving object while at the same time working the gimbal and camera is pretty difficult. ActiveTrack is game changing technology. Both TapFly and ActiveTrack are very easy to configure in the DJI Go app. For ActiveTrack, you simply drag a box around the object. ActiveTrack sees and recognizes objects using the camera of the Phantom 4. When the object is identified, the box will turn green. NOTE: Read the Phantom 4 User Manual which gives all the circumstances in which you should not fly in ActiveTrack mode. When it comes to drones, it best to learn by reading rather than crashing. Think safety. This next tutorial video shows you how to use the Phantom 4 ActiveTrack. It’ a terrific feature. The Follow Me mode uses the ActiveTrack technology mentioned above. 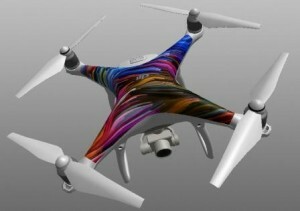 The aircraft will automatically follow you and capture your every move from a unique aerial perspective. Follow me has so many positive uses. Here we see an triathlete using the Phantom 4 Follow Me mode to check her running technique. This is an excellent tutorial of the Phantom 4 Follow Me intelligent mode using ActiveTrack. Terrific video. The obstacle avoidance and Vision Positioning System were first introduced by DJI on the Matrice 100 in 2015. The Matrice 100 is a modular drone allowing engineers and developers to create new solutions. Pilots always need to be aware of obstacles when filming. This is a challenge for beginner pilots as well as experienced pilots, especially when sight lines are obstructed and you are fully concentrating on filming. The Phantom 4 Pro is equipped with an environment sensing system based on stereo vision and infrared sensors. It is able to detect obstacles 98 feet in front, allowing it to plan its flight path to avoid them or simply hover in the event of an emergency. This same system also allows it to hover in position without GPS. Combined with infrared sensors on its left and right sides, the Phantom 4 Pro can avoid obstacles in a total of four directions. 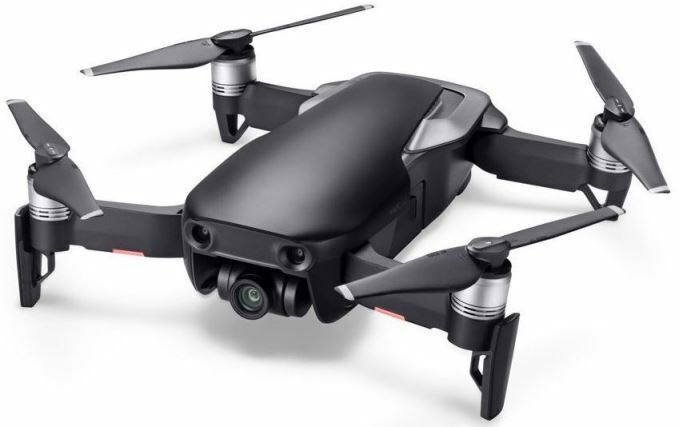 Forward and rearward obstacle sensing range has been increased, allowing the Phantom 4 Pro to fly at 31 miles per hour with full protection of its stereo vision obstacle sensing system. It makes fast, dramatic video easier and ultimately safer to capture. NOTE: There are many conditions or situations where the Obstacle Avoidance and Vision Position system will not fly very well in. Read the Phantom 4 Pro User Manual and become familiar which the correct flying conditions. Think safety at all times. Three sets of dual vision sensors form a 6-camera navigation system that works constantly to calculate the relative speed and distance between the aircraft and an object. In the unlikely event that front and downward sensors are unable to operate, the aircraft can still hover in place using the rear stereo vision system. The Phantom 4 Pro also is able to fly in complex environments at a flight speed of up to 31 miles per hour while avoiding obstacles in its path. In Narrow Sensing Mode, the Phantom 4 Pro narrows its sensing scope enabling it to see in more detail and fly through small spaces. This video gives you a brief outline of the advanced technology in the Obstacle Avoidance and Vision Positioning system. When Course Lock is activated, it locks the current Phantom 4 nose direction as the aircraft forward direction. The Phantom 4 will move in the locked directions no matter what its orientation (yaw angle) is. This easy navigation allows you to fly in a set direction as you fly alongside moving objects or across scenes. Course Lock is a really great mode which enables you to get terrific fly by shots while remaining focused on a particular area. This helps you with just having to concentrate on the direction the camera is pointed and the speed of the Phantom rather than you having to constantly change the path that the Phantom 4 travels in. Here is a terrific DJI Phantom 4 Course Lock Intelligent Flight mode tutorial from Bill Nichols. He explains and demonstrates how Course Lock mode works really well. Based on its altitude at the time of disconnection, the Phantom 4 Pro is also able to adjust its flight path to avoid obstacles it has seen during its flight. At takeoff, the Phantom 4 Pro will record the scene below and compare its recording with what it sees as it returns, for more precise landing. In the “Beginner Mode, the Phantom 4 cannot fly 100 feet (30 meters) higher and beyond the recorded home point. It also prevents camera tilt controls to allow new pilots to familiarize themselves with flying before adding more distance and camera control. The Phantom 4 is set to beginner mode by default which is great news. When Beginner mode is switched off, the Phantom 4 will default to a maximum flight altitude of 390 feet (120 meters) above the takeoff point. This can be adjusted to a maximum of 1640 ft (500 meters). You can also set your own maximum distance. The Phantom 4 has top of the range stabilization and camera which can be used for more than just professional filming. The Phantom 4 is terrific for aerial landscape photography and cinematography. With the existing camera it can be used to create 3D photogrammetry maps and images. There are also a number of multispectral sensors for drones on the market including the DJI Phantom 4 Pro. 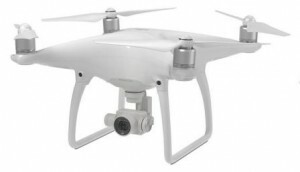 Because the Phantom 4 is very popular, it is very easy there is a terrific range of Phantom 4 parts, upgrades and accessories available. Now to finish this post, here is an excellent hands on field testing of the DJI Phantom 4 Pro. In this video, Colin Smith also answers many questions regarding the Phantom 4 Pro.